"Dr.Tejani and Dr.Jindal are wonderful and the best pediatricians I've ever been to!" "Great pediatrician! Nice, caring, and excellent service." "I feel very comfortable bringing my daughter to Dr. Jindal. " The team at Comprehensive Pediatric Care feels honored to serve the communities of Dallas and Mesquite, Texas, where they care for kids of all ages. Everyone on staff enjoys interacting with children and teens: an attitude that’s noticed and appreciated by all their patients and parents. The practice offers a full range of pediatric services. They’re available for same-day sick visits, well-child preventive care, and the physicals required for school and sports. New moms have access to their lactation consultants and expecting parents can count on Dr. Meenu Jindal to provide newborn care. Children and teens who come to Comprehensive Pediatric Care receive top quality care for asthma and allergies. The practice also offers mental health care, including evaluation and treatment of ADHD. Many children today struggle with weight issues. Dr. Jindal specializes in working with kids and their parents to create a workable weight management plan that helps them lose weight at a gradual, healthy pace. Thanks to their caring staff and outstanding providers, children look forward to their pediatric checkups at Comprehensive Pediatric Care. They are the premier children's clinic in the Mesquite and Sunnyvale area. Contact them or book an appointment online, so your child can join their family of patients. We've been recognized as a 2018 Mom-Approved Pediatrician by DallasChild Magazine! Only the best pediatricians receive this award. 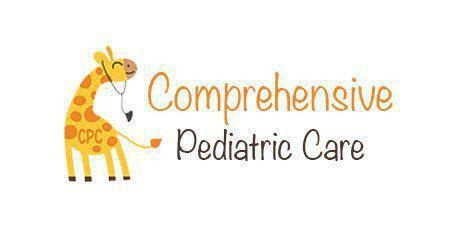 Comprehensive Pediatric Care is bilingual! We offer pediatric care to Spanish speakers. Comprehensive Pediatric Care is dedicated to providing you with the highest quality, cost effective medical care. We accept all major credit cards and offer payment installments. Displayed are only a few of the major insurances we accept. Please call the office to verify your insurance! Currently we are not accepting any new Patients with Amerigroup. We apologize for the inconvenience.
" I definitely recommend Comprehensive Pediatric Care to all my family and friends.We love our doctor!!" "Wonderful caring staff. I am happy to find a place where my kids can see a doctor at every visit. Highly recommended!" "Dr. Jindal is an amazing listener and very good with kids of all ages. She is very thorough and thoughtful in her diagnosis and treatment." "I strongly recommend this pediatrician and office. She is attentive to the whole family and really cares about my child." "Dr. Jindal is an excellent pediatrician, very professional physician, and a wonderful human being! You really can't go wrong coming to her office." "Dr. Jindal has seen both my girls since they were born.. she is very passionate about her profession and gives the best care."